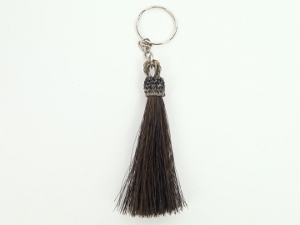 These horse hair keychains are hand made in Cotacachi, Ecuador. 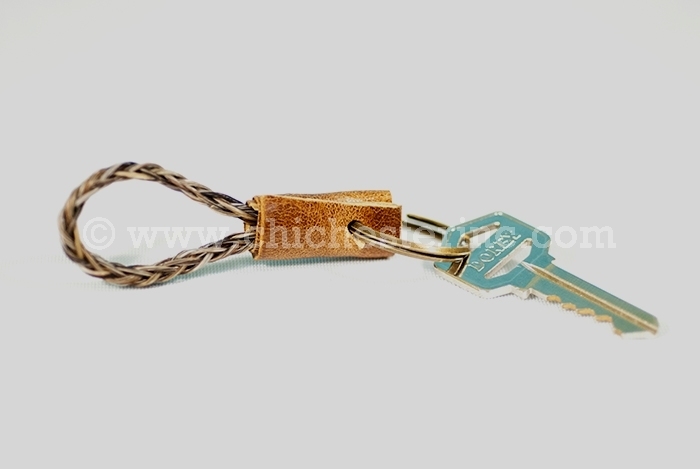 The keychain is approximately 3" long, 1.5" wide, and weighs approximately 0.013 lbs. 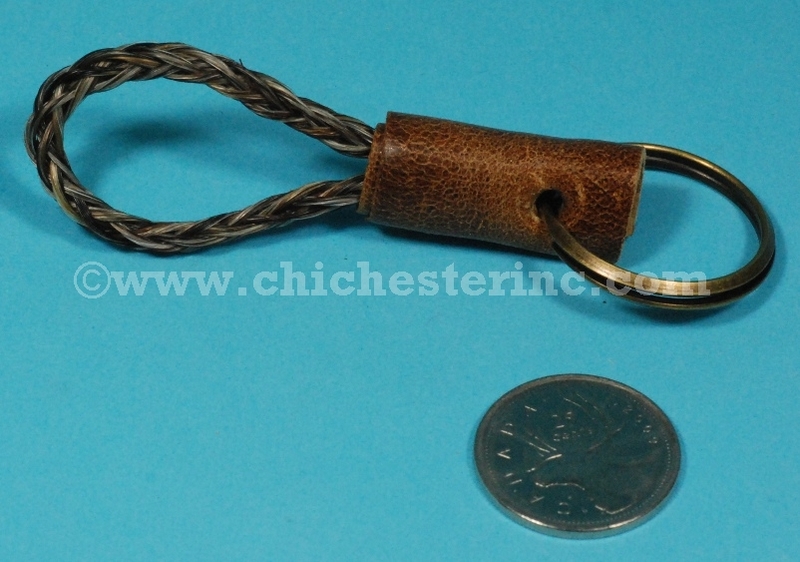 It is a simple braided loop of horse hair attached to a leather piece and keyring. 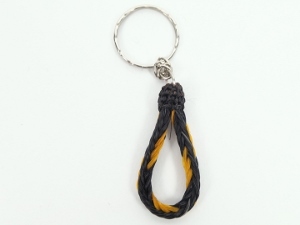 We also offer these keychains in two other styles: Straight and Braided. 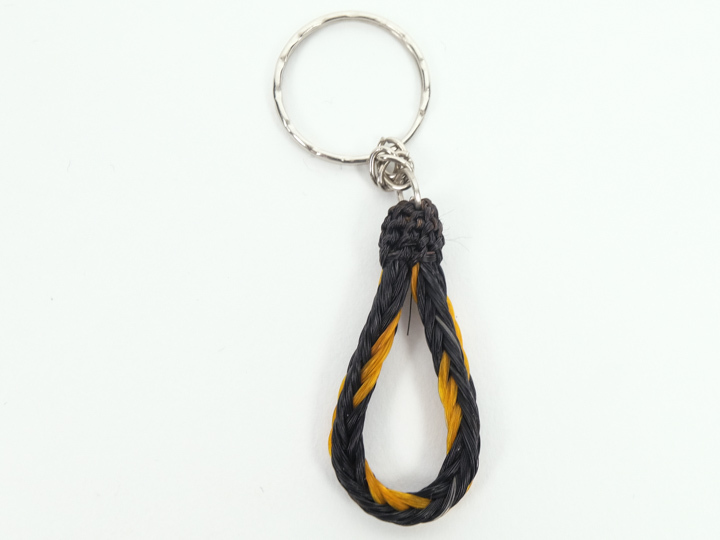 The straight style is a fall of horse hair topped with a braided piece that attaches to the keyring. The hair is approximately 3" long, and the entire keychain is 4.5" long. One weighs 4 grams. They are available in natural colors. The braided style is a loop of braided horse hair in a teardrop shape. The hair is approximately 2" long, and the entire keychain is 3.5" long. One weighs 6 grams. They are available in natural and dyed colors, some in two-tone.